In October 1917, the woman known throughout the globe as Mata Hari was executed on espionage charges by a firing squad at Vincennes on the outskirts of Paris. 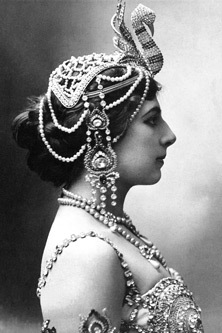 Born Margaretha Geertruida Zelle in 1876 in Leeuwarden, the Netherlands, in 1905 she reinvented herself as the exotic dancer Mata Hari, trading on the fascination with colonial cultures at the fin de siècle. Although history has provided little evidence of her spying, Mata Hari’s French prosecutors condemned her as ‘the greatest female spy the world has ever known’, a vamp, a courtesan and a divorcee who had caused the deaths of 50,000 allied combatants. 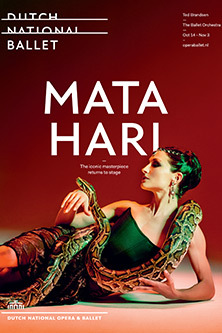 On the centenary of her death, this symposium hosted by City, University of London acknowledges Mata Hari's significance as an icon of feminine seduction, political betrayal and female transgression into male spheres of influence. This multi-national, cross-disciplinary event drawing from history, politics, cultural studies, literary journalism, the visual and performing arts, museum studies and feminist studies will bring together biographers, academics and museum curators. Our guest speakers will address the cultural multiplicity of the anxieties about women in the public sphere that Mata Hari symbolised both during the First World War and as enduring concerns. Following the main symposium, this event will feature an illustrated dance performance by cabaret artist Aletia Upstairs. ‘Mata Hari, a modern Western dance figure? Please note, booking for this event is essential, unfortunately we are unable to permit entry to guests without an advance booking.